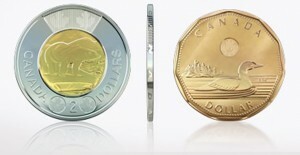 The Royal Canadian Mint last week unveiled new $1 and $2 circulation coins. 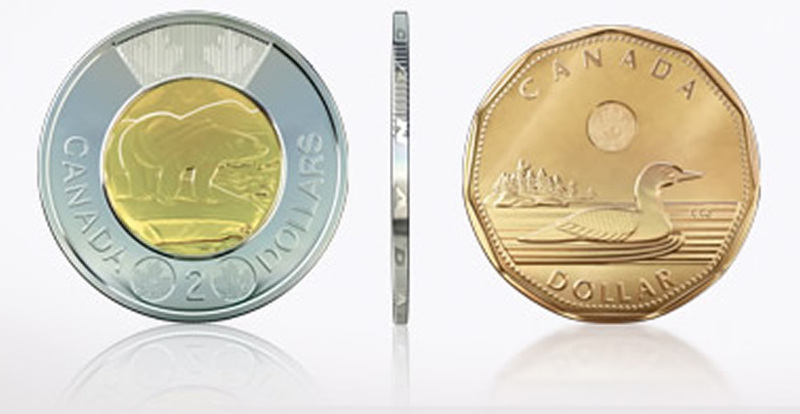 These updated Loonies and Toonies feature new compositions and enhanced security features which were not only designed the save the government money but also to help prevent counterfeiting. 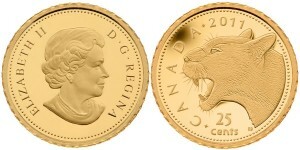 The new Loonies and Toonies created with the Royal Canadian Mint's patented Multi-Ply Plated Steel technology will make their way into circulation through the normal channels. 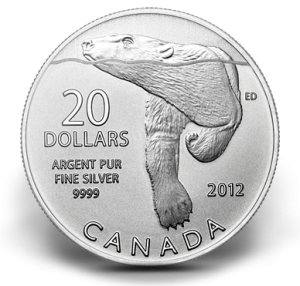 Older strikes are still considered legal tender and will circulate alongside their replacements for many years to come, according to the Mint. 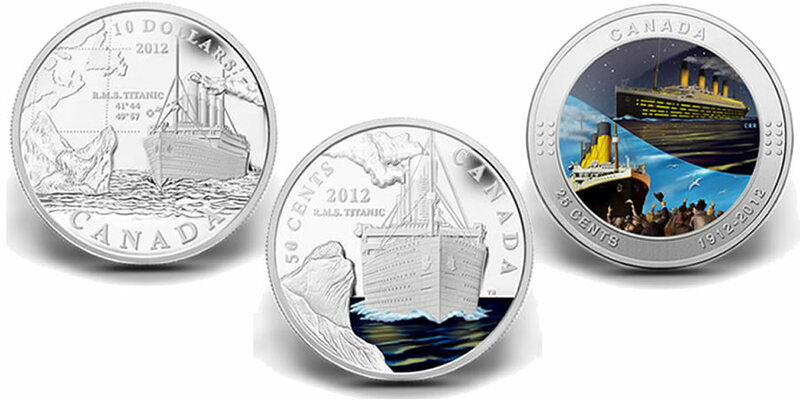 The Royal Canadian Mint has issued three new coins acknowledging the sinking of the RMS Titanic one hundred years ago. The Titanic Commemorative Coins released by the Mint include a $10 99.99% pure silver coin, a 50-Cent Silver-Plated Colored Coin and a 25-Cent Colored Coin. The Royal Canadian Mint has released the third strike in what has become one of its most popular series - the "Exchange $20 for $20" program. 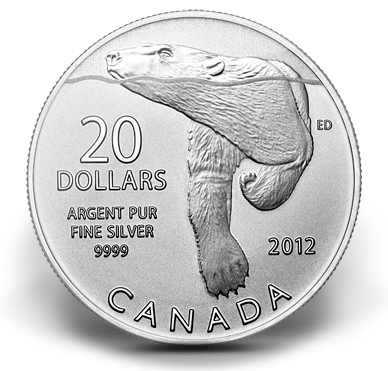 The $20 Pure Silver Polar Bear Commemorative Coin continues that series and like its predecessors is struck from 99.99% pure silver and is sold for an amount equal to its face value of $20. The Royal Canadian Mint has issued a new silver dollar emblematic of the 200th anniversary of the War of 1812. The War of 1812 Bicentennial Proof Silver Dollar is the first collector coin issued by the Mint this year. 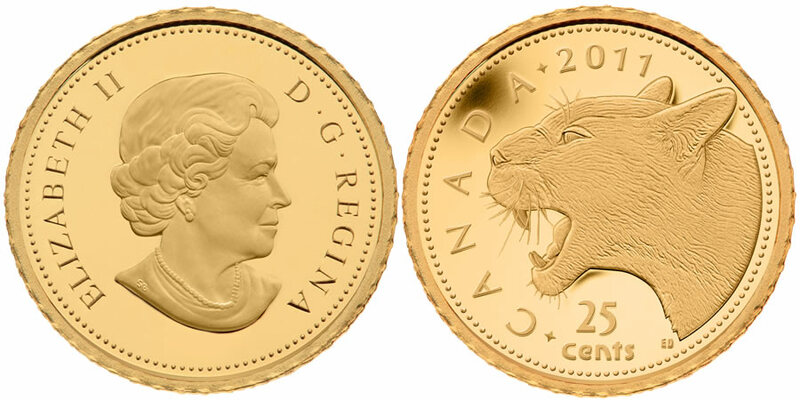 The Royal Canadian Mint will be adding another precious metal coin featuring the elusive cougar when its begins issuing the Cougar 0.5 g Gold Coin later this month. The strike is composed of half a gram of 99.99% pure gold and features a diameter of 11mm.